WAN optimization has been effective in pushing the industry toward a data center without boundaries, but it doesn't address all IT challenges in the branch. 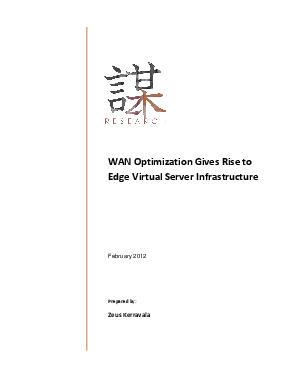 A new approach called edge virtual server infrastructure (edge-VSI) helps to bring the vision a step closer by allowing IT to consolidate and manage all edge servers in the data center with LAN performance at the edge, all at up to 50 percent of the cost of managing traditional distributed environments. Download this informative white paper to learn everything you need to know about edge-VSI and Riverbed GraniteT, the industry's first edge-VSI appliance.